The Medusa is a development platform for UHF RFID battery-free devices. 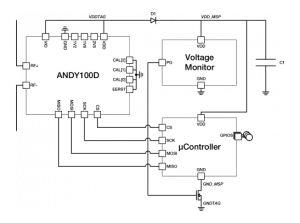 The Medusa includes and ANDY100 chip with EPC C1G2 communication and a MSPG2233IPW20 microcontroller from Texas Instruments for communication with developers’ circuits. The Medusa is ideal for development engineers who can now develop their own wireless sensors or actuators without requiring batteries on the tag. The Medusa harvests energy from the RF field created by the RFID reader to power up the ANDY100 IC, the microcontroller and the circuitry and devices attached to it. The ANDY100 chip included works under standard EPC C1G2 commands so no proprietary or custom commands are needed. 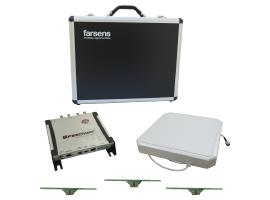 Any commercial UHF RFID reader can be used just by programing with the correct standard commands.